Ubuntu 14.04 LTS – ESM will become available once Ubuntu 14.04 Trusty Tahr reaches its End of Life on April 30, 2019. Extended Security Maintenance (ESM) is an available feature with Ubuntu Advantage, Canonical’s commercial support package. ESM can also be purchased on a stand-alone basis. Contact the Ubuntu experts at Canonical to start planning for Ubuntu 14.04 End of Life, or to talk through your Ubuntu 12.04 estate, and how Extended Security Maintenance could help you simplify your migration process while maintaining compliance and security standards. What is Extended Security Maintenance? 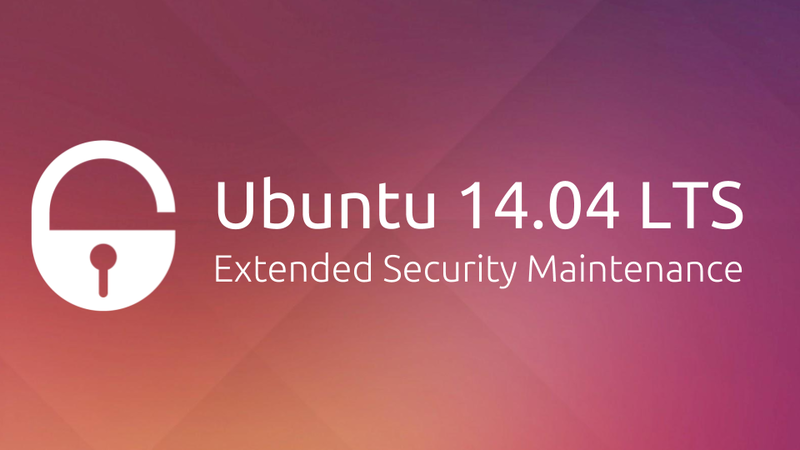 The introduction of Extended Security Maintenance for Ubuntu 12.04 LTS was an important step for Ubuntu, bringing critical and important security patches beyond the nominal End of Life date of Ubuntu 12.04. ESM is used by organisations to address security and compliance concerns while managing the upgrade process to a newer version of Ubuntu under full support. ESM provides organisations with the ability to plan application upgrades in a failsafe environment, a factor that is often cited as the main value for its adoption. The availability of ESM for Ubuntu 14.04 means that the End of Life of Ubuntu 14.04 LTS Trusty Tahr in April 2019 should not negatively impact an organisation’s security and compliance efforts. Ubuntu 12.04 was the first Long Term Support version of Ubuntu to receive an Extended Security Maintenance. This couldn’t come at a better time, as in the last year IT departments have had to deal with major IT security and compliance issues: GDPR, Spectre, Meltdown, Stack Clash, Blueborne, Dirty Cow, SegmentSmack or FragmentSmack to name a few. In total ESM has provided over 120 updates, including fixes for more than 60 high and critical priority vulnerabilities, for Ubuntu 12.04 users. Commercetools reduced operational risks and increased GDPR compliance across their legacy deployments thanks to Ubuntu’s Extended Security Maintenance.ITstrategen used Extended Security Maintenance to guarantee the continued security of its servers and saving its clients from costly application updates. The post Ubuntu 14.04 Trusty Tahr End of Life appeared first on Ubuntu Blog.